Scene view of Cambodia Students during Exam 2015 – photo courtesy of MoEYs facebooke page. 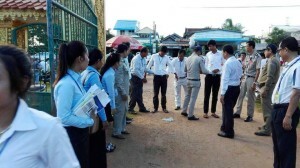 The displacement of Cambodian workers majorly young people to work in South Korea, Thailand, Malaysia or other countries, have evidently brought with them the two hands and two legs to scavenge soil and dirt in those countries in expected returns of higher compensation than working inside Cambodia. They didn’t bring with them skills or expertise they have accumulated or learnt in Cambodia at all. Or if they have some levels of education, or skills, those host countries didn’t value or accept such credential at all. So we could conclude that Cambodian youths have used only heritage from their parents (body and mind) to earn a living in those countries. Those youths have not been able to use their skills or knowledge from Cambodia schools at all. 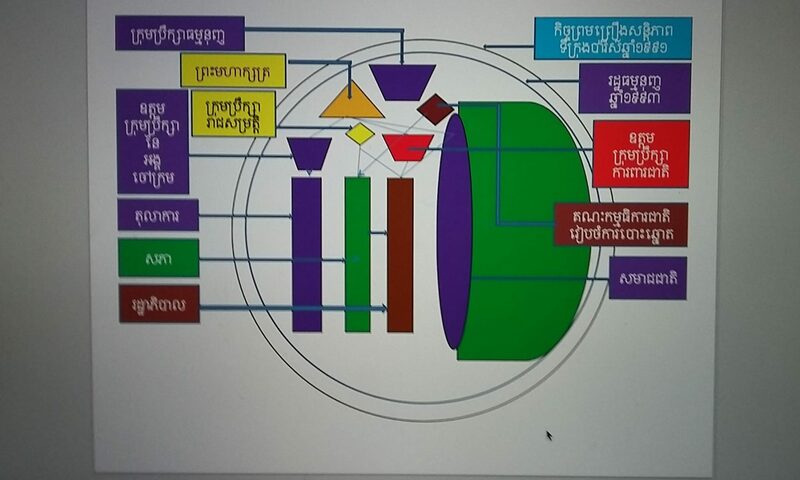 Second point is the foreign direct investment (FDI) in Cambodia. Until today, we see only garment factories being planted and mushroomed in Cambodia. The requirement of education credential or experiences for those garment labors (although completion of diploma or 12 years compulsory education) are not needed. Whenever, those young men and women can use their both hands, they are accepted to work. Their work environment is basic laboring, not skilling or technical utilization. Once, the factories are closed, those workers could not transfer their skills or inscript it into CV for higher position with expected higher wages beside of garment factory at all. So education system in Cambodia has remained in limbo in producing higher skills and workable human resource in real working environment. But the recent strictness in high school examination is in question that: those passed and failed candidates are retained good quality of education or not? Pragmatically speaking, there are many things to be considered from his speech, but I have not been confident and it shall not buy out on his two points argument: peace and stability, and corruption is a universal human failure. In front of the 70% Cambodian young voters, Hun Sen has failed terribly on his boast of stability, peace and incremental progress during this 30 years under his power grip. Now his son has inherited such failure argument to aim on what? Corruption is not a universal practice and it is not a universal value at all. He might not be able to distinguish the difference between institutional corruption and individual corruption (which lean into nature of human greed)? More than this whenever he has never spoken up against corruption, it means he has conspirated it or involved in corruption. This last resort is very unfortunate for Cambodia to be survived on this planet. At the end, observing from his stance, it is not wrong to attest the public saying: “like father like son” within a general perception. One of the likeness illustrated is the “self-defense” politics… I could assure you all that this self-defense approach has been very outdated. Whenever the incumbent clan of Cambodia politics has never learnt to accept mistakes, failure, reality, and Pragmatism, the navy of Cambodia is remained in the brink of danger. 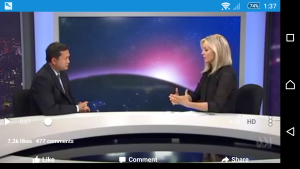 Hun Manet speaks to Beverley O’Connor‘Not no, not yes’ Hun Manet, the son of Cambodia’s prime minister Hun Sen, has declined to say if he wants the top job one day in a rare interview.